Here We Go Again! | So What? I run. Well, sort of. I haven’t been officially accepted in the JFK 50 Miler race, but training starts tomorrow! This past weekend I ran two back to back runs for a total of 20 miles to get me in training mode. Up until a few days ago, the Taroko Gorge Marathon in Taiwan was my target Fall race. When I received an email from the race directors stating that the marathon is still not officially on, I decided I needed to quickly decide on another target race. I thought about running the Baltimore Marathon again so that I can run it with my sole sisters, but honestly, I think deep down I really, REALLY wanted another ultra. There’s a group of runners in our training group that are training for the inaugural Patapsco 50K and I would’ve been happy to do that. BUT, I have already booked my flight to Taiwan and I leave the day before the 50k. So, now what? The only other race I could think of was the 50 miler. Why the hell not? I wanted to run several 50-milers before going forward with a 100-miler, so why wait until Spring? If I don’t get accepted (because I think I screwed up my application), then so be it. I will let fate decide if now is the time do run my second 50-miler or not. This weekend’s running was AMAZING. 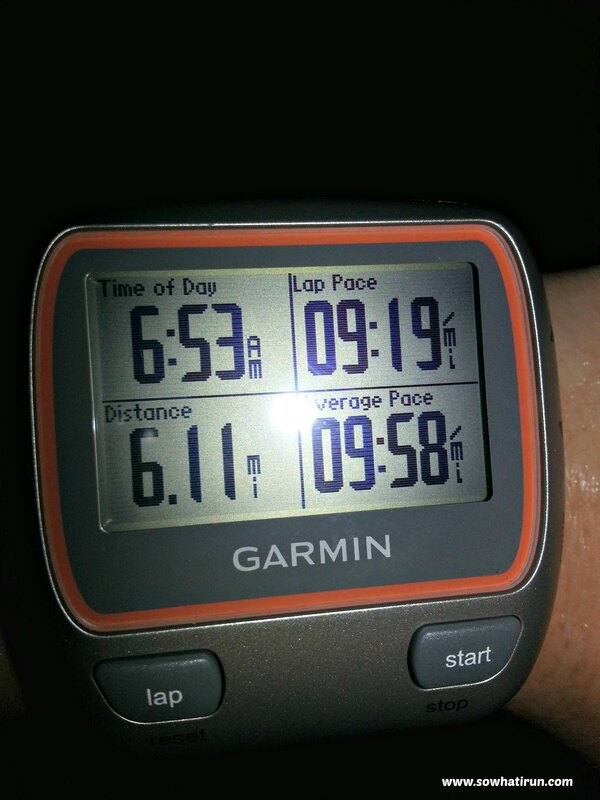 My pace has really picked up and I’m feeling pretty good. Don’t get me wrong, it’s hard and my legs are screaming…well, more like whispering, obscenities at me, but I’m thrilled to be able to pick up the pace. 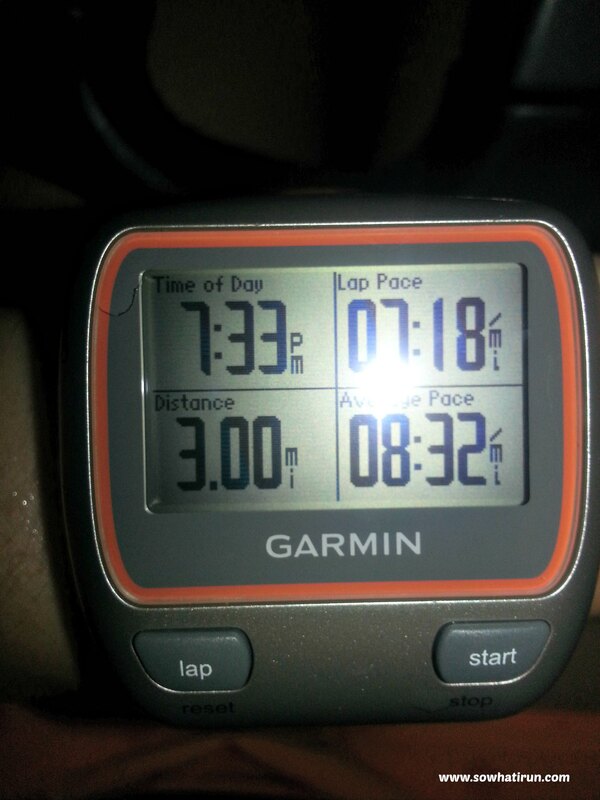 When I looked back at when I first started running, I noticed that I was actually a faster runner. I slowed down so that I could go the distance without killing myself. Well, now that I’ve gone the distance, it’s time to kill it, right? 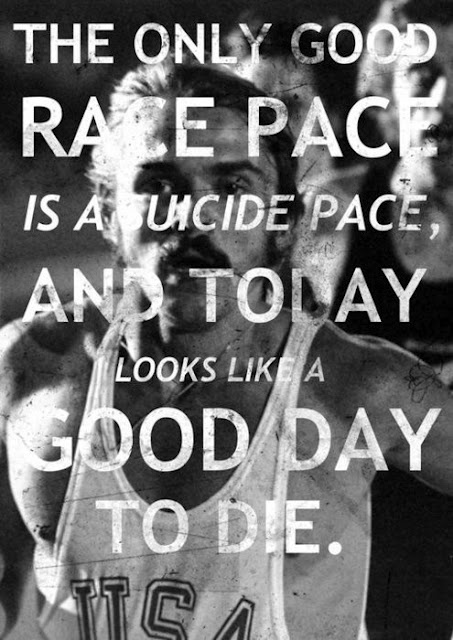 Suicide pace. 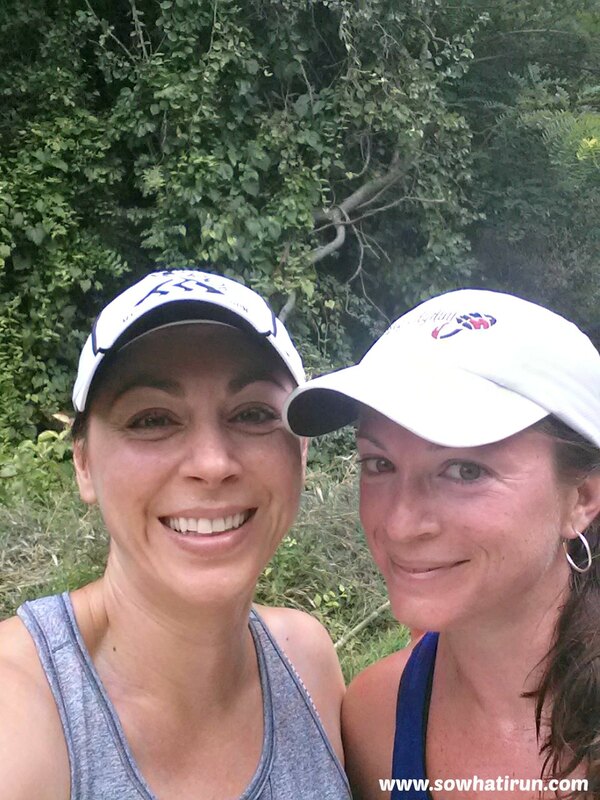 Saturday I passed on running with the group to run with my running mama…you know, the one who passed the running bug on to me. 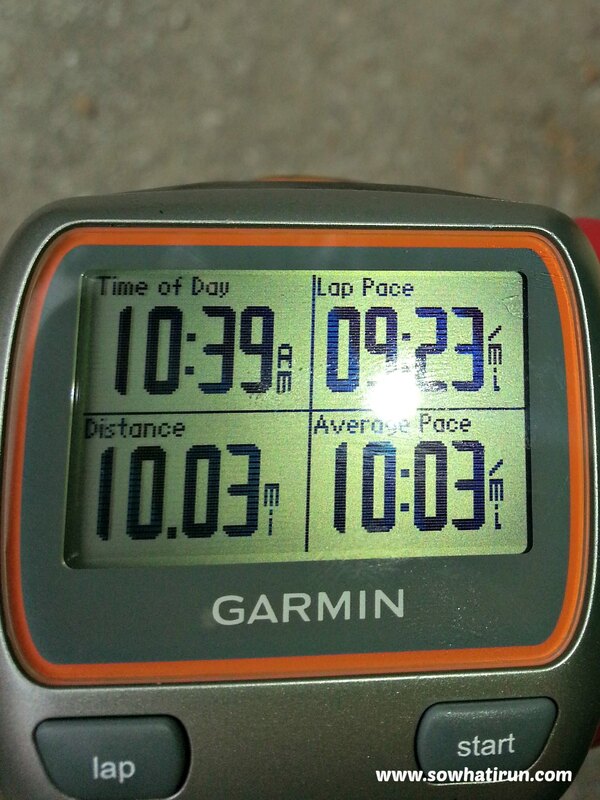 We headed out to Loch Raven and slammed down a great 10 miles, hills and all. I really wanted to hit the trails, but Bern isn’t a trail runner so I would just have to admire from afar. 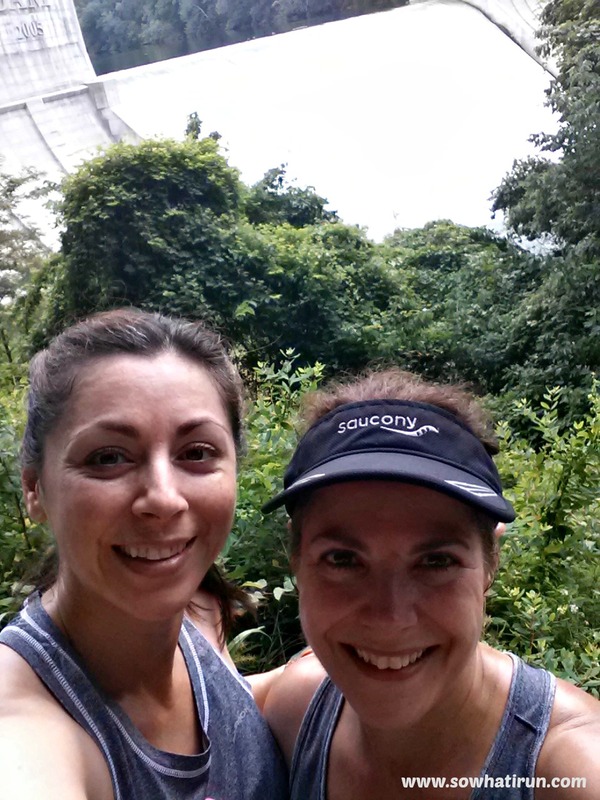 Sunday I ran with Meg at the NCR trail and we made that trail our b*&@h. I’m so proud of Meg and how much stronger she is this year. AH-MAZE-BALLS! Don’t tell her, but sometimes I have a hard time keeping up. Must be that damn hot yoga that she’s doing. 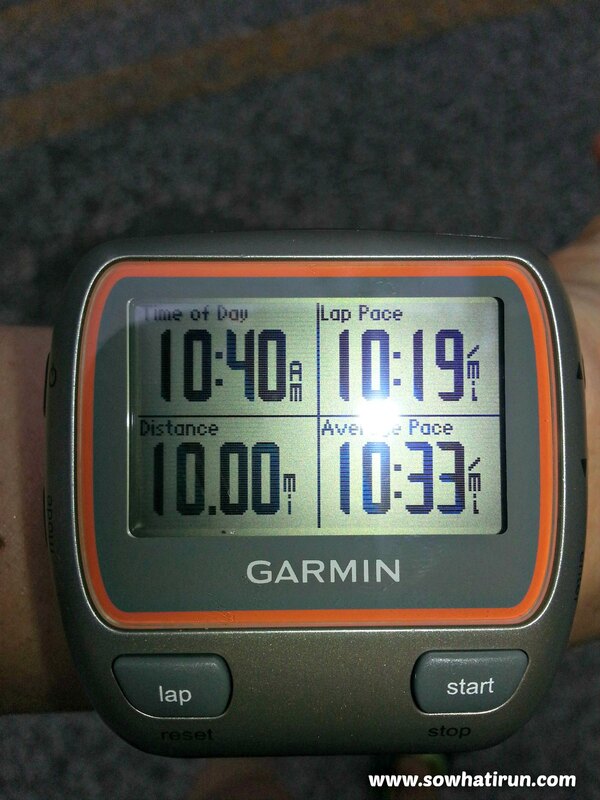 Oh, and I forgot to mention, last Tuesday for mile repeats…CRUSHED IT! I was supposed to do 4 to 5 mile repeats, but at the end of my 3rd mile, it started to thunder. The last time I didn’t stop running when it thundered, I ended up with the “Dorothy Run” and almost blew away. I decided that 3 was good enough…because I CRUSHED IT…and called it a night. If you don’t do mile repeats, you should. It will help you increase your speed, learn your pace, and increase your stamina. What’s the drill? Well, you run a mile at your 5k or 10k pace, then you rest for half the time you ran. For example, if you run a mile in 10 minutes, you rest for 5 minutes, then you repeat for 3 to 5 miles. Oh and my tempo run on Thursday? Crushed that too!!! This is going to be an interesting training season. I won’t be on my own with my long runs and I’ll be able to add running workouts that I didn’t do on my own because I’ll continue to train with the marathon training group. I don’t have it in my budget to see my personal trainer and I know for a fact that working with him made me strong for the last ultra that I did. 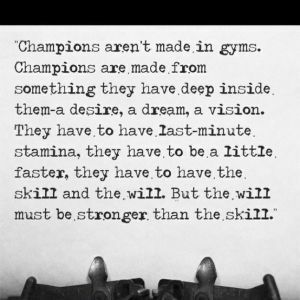 I can go to the gym myself, but it really isn’t the same. I plan on incorporating more yoga during this training season and more speed work, so I’m hoping to still get good results. We’ll see. This entry was posted in Ultramarathon Training and tagged Long run and short run, Marathon Training, mile repeats, Running, tempo runs, ultramarathon training by SoWhatIRun. Bookmark the permalink. Girl, you are doing awesome! 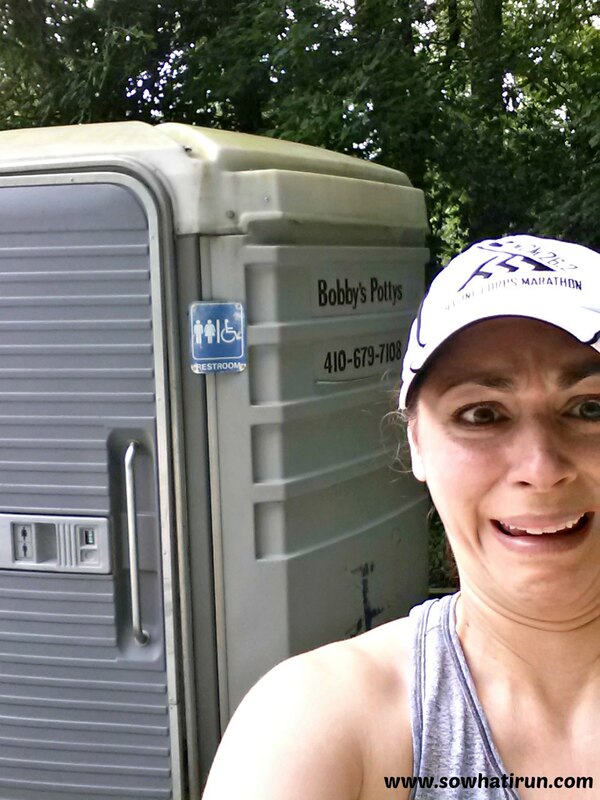 And I don’t think I would have gone anywhere near that porta potty, I’m terrified of spiders! Awesome job on the mile repeats!!! Looking forward to Saturday! !